Situated in the central coastal area of Fujian Province, the city of Putian faces Taiwan across the sea to the east, borders Quanzhou City on the south and west, and adjoins Fuzhou on the north. It has an area of 3,781 square kilometers and a population of 3.23 million. The best tourist season lasts from April to December. Putian has a long history and a charming scenery. Its main scenic attractions include Jiuli Lake, Maixie Crag, "the Roar of Surging Waves at Meiya Islet," "Mist Hidden in the Stone Hut," "Dawn over East Hill," "Autumn Moon Reflected in Baitang Pond," the Guanghua Temple, Sanqing Hall, Mulan Slope, Ninghai Bridge, and the Confucian Temple. The bustling banks of the ancient Mulan River present a fascinating scenery of southern China. The city of Putian has traditionally attached great importance to education, and a large number of famous personages have come to the fore. 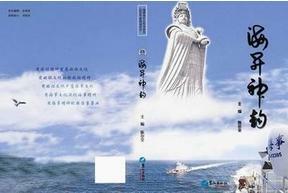 Putian is the native place of the Celestial Empress. It becomes a sacred place for people from Taiwan and the believers of the Celestial Empress the world over. Lying in the northern part of the entrance to Meizhou Bay, the Island is now a national tourist resort, featuring verdant trees, ports and bays, and a continuous sand beach, which form a charming landscape. The beach extends more than 20 kilometers around the island. There are over 400 hectares of windbreaks. The sea around the island teems with grouper. Located on the summit of Wanshan Mountain, 25 kilometers from the eastern part of Xianyou County, the lake area is known for the lake, caves, waterfalls, and rocks, with cliffside waterfalls being the best known. Xu Xiake, a renowned traveler of the Ming Dynasty referred Jiuli Lake. Wuyi Mountain, and Yuhua Cave as the "three unrivalled beautiful places" in Fujian.